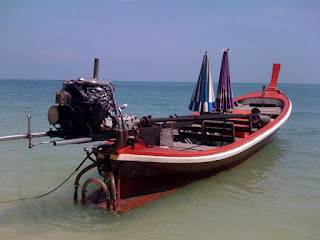 Long tail boats (nothing to do with Internet trends) are all over S E Asia (I'm in Thailand - Cape Panwa) and rather ingeniously use a simple pivot / swivel to balance a full size car of truck engine against a l-o-n-g prop shaft that is quite literally just that. 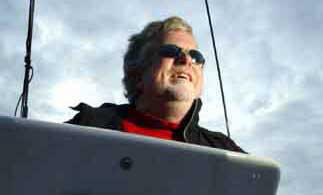 Plentiful water via a heat exchanger, open exhaust (so, loud then) and off you go. The prop (on this one the whole unit is reversed so that the propellor is in the boat for "parking") operates just at surface level, but I'm not sure why this is faster than fully immersed. The result is a whopping "cockerel's tail" of water - fast showy and cheap. Oh and fun too - feels ten times the speed!